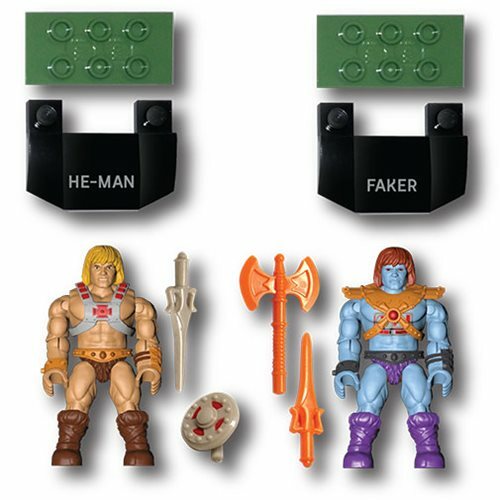 From Masters of the Universe comes these detailed Mega Construx MCX Heroes Mini-Figures! 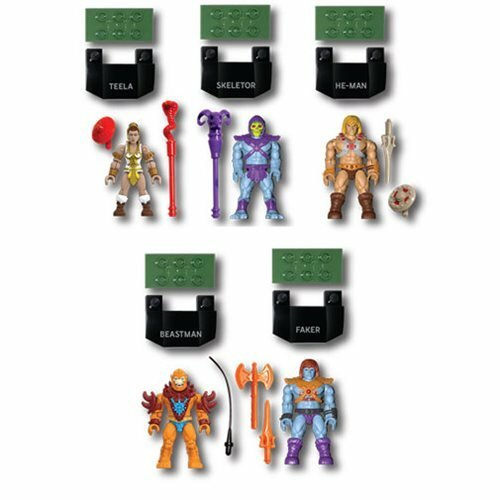 The Masters of the Universe MCX Heroes Collector's Edition Mini-Figure 5-Pack contains 5 original characters: He-Man, Skeletor, Teela, Faker, and Beast Man. 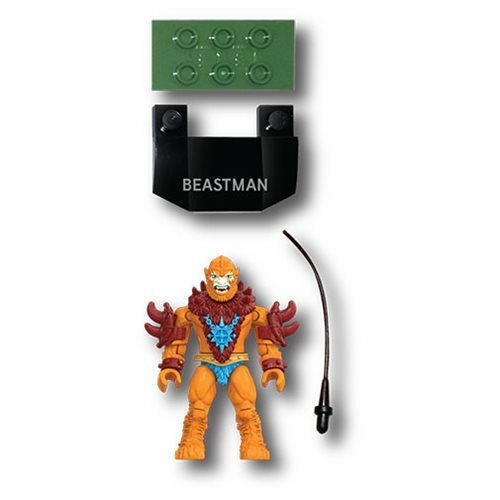 Each 2-inch tall super-poseable figure features up to 13 points of articulation, comes with authentic weapons and accessories, and includes a display stand. 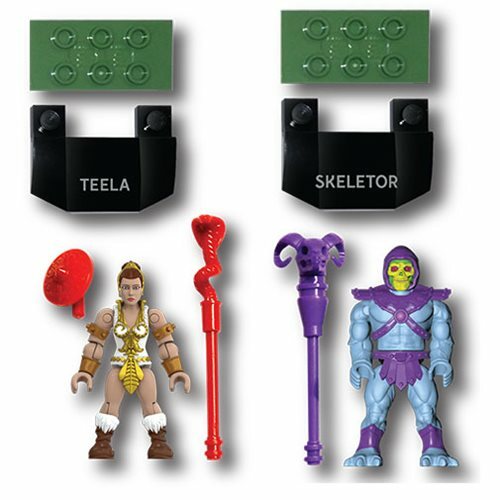 The Masters of the Universe MCX Heroes Collector's Edition Mini-Figure 5-Pack comes in blister card packaging.